Shah Rukh Khan’s Car Ran Over A Photographer’s Leg And Guess What The Actor Did Next! 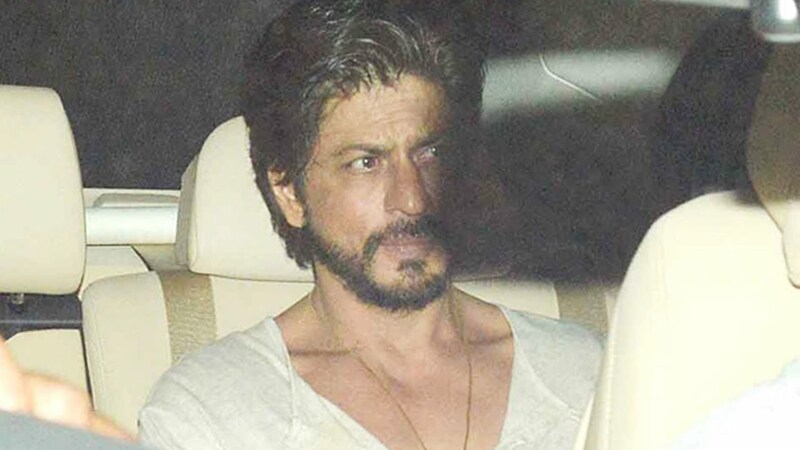 Shah Rukh Khan was headed To Alia Bhatt‘s birthday bash when this incident happened. It was Alia Bhatt’s birthday yesterday. Shah Rukh Khan went to wish his Dear Zindagi co-star at her birthday bash at her residence. The moment Shah Rukh Khan’s car was seen from a distance, photographers jumped on his car just to get his pictures. There was a big chaos, photographers wanted to capture Shah Rukh Khan entering Alia Bhatt’s house. But in that whole chaos, Shah Rukh Khan’s car accidentally ran over a photographer’s leg. This left everyone shocked. The Raees Khan immediately got out of his car and took the photographer and his bodyguard with him in his car to Nanavati hospital. Shah Rukh ensured that all the medical expense will be on him. An eye-witness said that “Shah Rukh was extremely polite and asked the photographers not be scared as he will take care of the entire incident.” He further said that the photographer who got injured was a new guy and he got excited seeing the actor. He wanted to capture Shah Rukh and did not realise that he will hurt himself as the car was moving in full speed. The witness further said that thankfully nothing major had happened and the situation was under control. On the work front, SRK was last seen in Raees, which also starred Nawazuddin Siddiqui and Mahira Khan that released in January this year. He has also shot for a cameo role in Salman Khan’s upcoming film Tubelight. Other than that, the actor will be next seen in Imtiaz Ali’s untitled film with Anushka Sharma, and Aanand L Rai’s next, where he will play a dwarf. Also Watch: Shah Rukh Khan Or Salman Khan, Who Should Enter Politics- Aamir Khan REACTS! Previous articleDid Fans Like SS Rajamouli’s Baahubali: The Conclusion Trailer? Here Are Some Reactions!